Exercise is an essential component when it comes to your health and well-being. Cardio-vascular exercises and strength training are equally as important. Strength training increases lean muscle mass providing a boost in your metabolism, which in turn causes your body to burn more calories at rest and even while you are sleeping! There are many benefits of exercise ranging from improving activities of daily living to weight control and even stress management. So why is it that while most people are aware of these benefits, the majority of our population is still not getting the recommended amount of physical activity? Exercise should not be a chore. Rather it should be something that you look forward to that also helps you lose or maintain your weight, manage your stress, and most importantly keep your heart healthy. When it comes to your health, your heart is the most important muscle to train in your body. Whether you are an avid runner or you have never even set foot in a gym, there are many ways to improve your current exercise routine. It is important to make sure you find something that you enjoy doing. Go for a hike, take a dancing class, play racquetball or purchase an exercise DVD that you can do in the comfort of your own home. There are a variety of exercises that you can choose from. Sometimes, it’s best to switch up your routine as this will prevent boredom and a little bit of variety is good for your body. Also, based upon your goal it is imperative to know what duration, intensity and frequency is most appropriate for you. This can also help to address any problems related to why your current exercise routine may not be working for you. At the Family Chiropractic of Fairfax: A Creating Wellness Center, we can help you sort out all of those details and get you started on improving your health as well as adding a little excitement to your life! Exercise is an important tool for managing everything from stress and depression, healing injuries to preventing disease. Nagging injuries can wreak havoc on your body. Whether you are dealing with a rotator cuff injury, chronic back pain or a knee problem, it is important to address the injury and take the appropriate steps to recover. First, it is necessary to understand the underlying causes of the problem. Only treating the symptoms will further delay your recovery. Car accidents, sports injuries, and even poor lifestyle choices can generate chronic problems if not addressed. 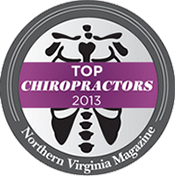 Here at Family Chiropractic of Fairfax, we evaluate where you are, regarding your injury, then take the appropriate steps in order to treat the cause. First, we address how you got into this condition then we will provide you with a routine of exercises that will get you back on track. Certain exercises help you attain or maintain strength but also help with rehabilitation after an injury or post operation. Re-gaining strength after an injury can require patience as well as persistence and we will be there to help you every step of the way. Chiropractic adjustments, specific exercises, as well as improved lifestyle choices can all help you recover more rapidly. Preventing an injury from happening again is also a big part of rehabilitation and exercise plays a big role in this. Proper cardio-vascular and strengthening exercises can help you maintain a healthy, strong body that is capable of adapting to the changing stresses on your body. There are also many preventative steps that you can take to avoid re-occurance of injury.